How does Postwire tracking work? Knowing when a prospect or client engages with the information you share is one of the features many Postwire users love. Postwire's tracking reporting gives users feedback they might not otherwise get, helping them to respond faster with greater insight. Postwire reports as much information as it possibly can on who views what when. But because we support so many different use scenarios, the level of detail varies in the tracking information we report. For example, you can invite people to the Postwire using the Postwire web interface. You can also share a direct link to a Postwire by copying and pasting it from your browser address bar or by using the Outlook or Google Apps Postwire Plugins. Let's look at the differences in tracking reporting when you share a link to a Postwire in each of these ways. When you Invite People to Postwire using Postwire's integrated sharing, Postwire generates an unique link for each invitee. If 10 people are invited to the same Postwire Page, for example, Postwire generates 10 unique urls pointing to the same Page. Postwire includes this unique link in the email invite it creates and sends to each person on your behalf. And because we only share an unique link by sending it to one particular email address, we make the assumption that the person clicking the link is indeed the owner of the email address and report subsequent tracking activity using the invitee's email address. Once this person gets a Postwire account, Postwire flips all tracking reporting to the user's registered name. You can also share a direct link to a Postwire by copying the url to the Postwire from your browser address bar and pasting it into an email message that you send from your email client. In essence, this is what the Outlook Postwire and Google Apps plugins allow you to do—insert a direct link to a Postwire Page that you make from within your email application. The plugins simply streamline this workflow. When using the Outlook of Google Apps Postwire plugins—or providing someone a direct link to a Postwire—the tracking notifications are not tied to a particular person's name or email address. This is because you could very well be sharing that same link with more than one person by sending it to multiple email addresses on the same To: line, for example—or even by sharing the direct link more widely via a public tweet—and Postwire has no way of discerning who is who. The tracking cookie placed on the browser of each person who clicks that same direct link makes everyone seem as if they are the same person. Postwire cannot with certainty identify exactly who is clicking the link until the person confirms his or her identity by registering with Postwire. viewed a specifically-named Postwire Page. Typically when a Postwire link is known to have been shared with only one person via email, this info is sufficient to connect the dots and deduct that the person with whom you shared the link is the same person who viewed the Page. You can unmask the "Someones" and get more tracking reporting by email address or name by encouraging your clients to invite their colleagues to view and discuss the information you've shared on your Postwire from postwire.com (they can register for a free account), rather than forwarding an email with the Postwire link. 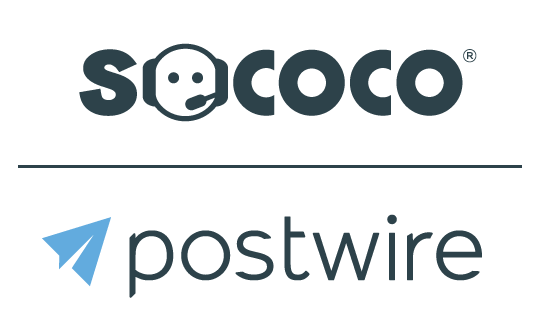 Rest assured, no matter how a link to a Postwire was shared, once a person who has been cookied by Postwire registers for Postwire, Postwire reports all of the person’s past and future activity using his or her registered name. Big Picture Overview: How does Postwire work?